Travel across Corfu island with safety, comfort and low cost! Join us and discover the most beautiful corners of the island. Now you can send your messages and be informed about all extra and new routes in Facebook, easy and quickly. The intercity buses of Corfu are the most popular way to get to know the island. 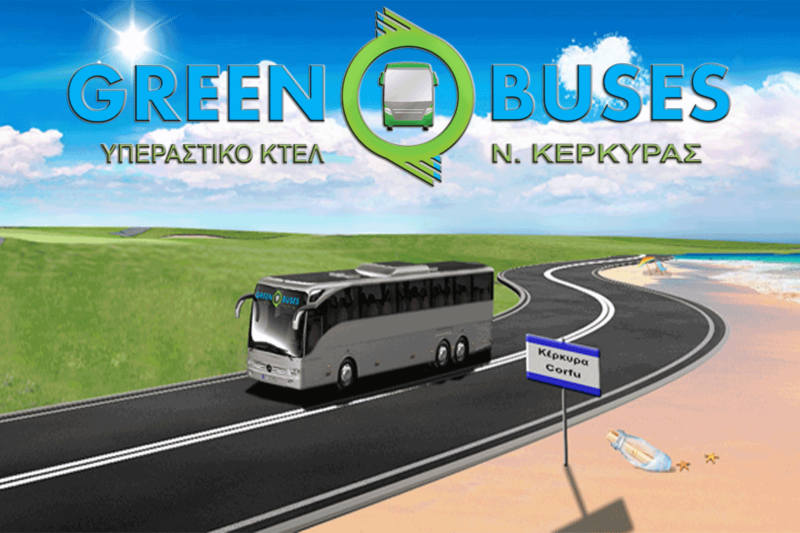 Green buses will take you safely and quickly to any part of Corfu. from local and foreign travelers, for safe, secure, fast and easy journeys. Find out all the routes that will travel you around the island. a list of suggested routes that you will never forget. your unaccompanied parcels quickly safely and responsibly. 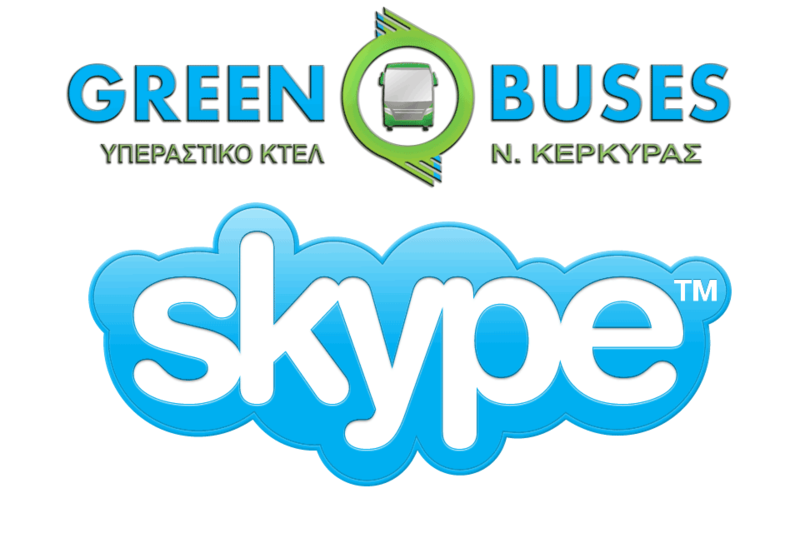 Keep up to date with all the latest news of intercity buses of Corfu. 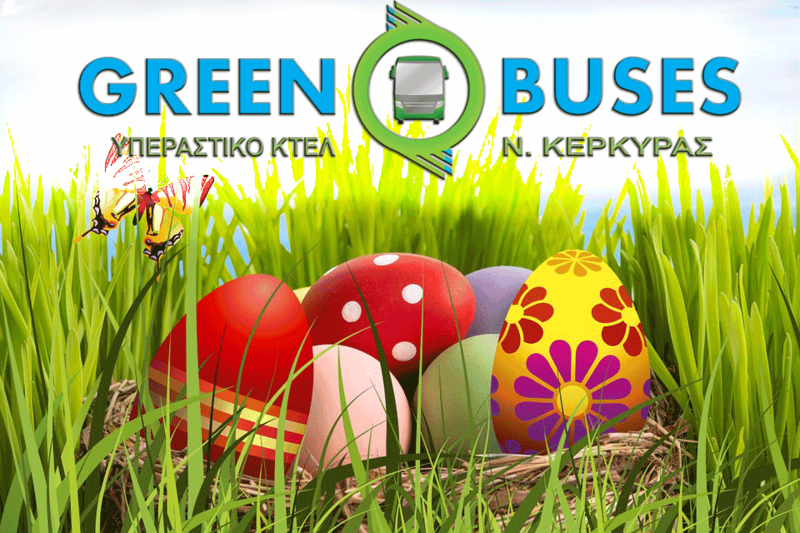 The intercity buses KTEL Kerkiras (GreenBuses of Corfu) wish you Happy Easter. Users who wish to contact us via the Skype application. We would like to inform you that this service will be available within the next month and you will informed with new announcement. Easily navigate with any device . You will find us in all social media. Keep up to date with our latest news and leave us your comments. Search easily and quickly about the route you desire. Easily navigate with any device. For the comfort we provide. 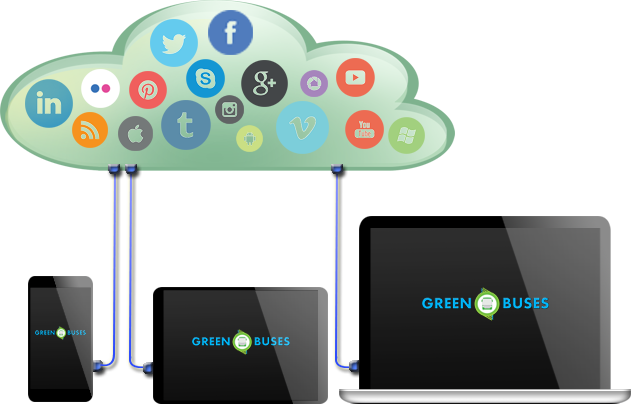 You'll have a rest, comfort and safe travel, you will enjoy the journey surfing to the internet from the free wireless network available to our coaches, while in the same time you will be gaining 40-50% to your monthly expenses. We offer you safe, comfort and fast travelling.